Hawks Aloft is the only raptor rescue organization travels to pick up and, when necessary, capture injured raptors throughout New Mexico. Our Raptor Rescue Team provides for triage for injured birds and ensures that they receive appropriate medical care from one of the many veterinarians that donate their services. After initial diagnosis and critical care, birds are transferred to the best available rehabilitation facility to continue their recovery. 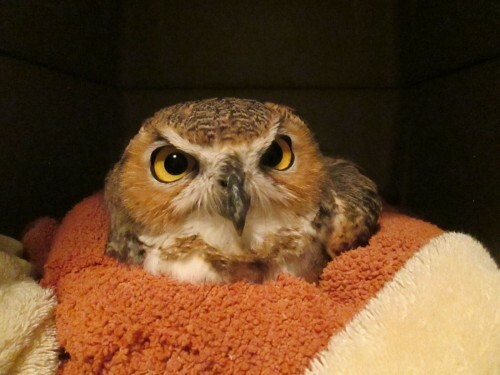 We work with other wildlife rehabilitators statewide to ensure the best recovery program for each rescued bird. We are authorized by the U.S. 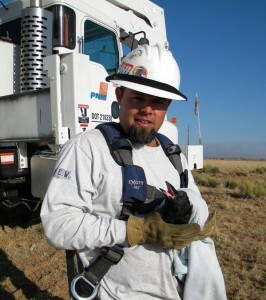 Fish and Wildlife Service to perform raptor rescue (or transporting a bird from one location to another) necessary to comply with the Migratory Bird Treaty Act. If you have found an injured raptor, roadrunner, or a corvid (crows, ravens, jays), please contact the Hawks Aloft Raptor Rescue Hotline at 505-999-7740. When a bird is in distress, the best thing is to keep an eye on the bird and call a local wildlife rehabilitation facility or Hawks Aloft if it is a raptor, roadrunner, or corvid. Please do NOT provide any food or water for the bird, unless directed by a rehabilitator. Throughout the spring and summer, young raptors get in all sorts of trouble. To keep up with the phone calls, we have a dedicated team of Raptor Rescue volunteers that are trained to capture and transport raptors to our wildlife rehabilitators. We never know when the next call will be or where the bird is injured; however, with the reliable team of rescue volunteers, we are able to quickly get the bird the medical attention it needs. The initial step to becoming a Raptor Rescuer is to attend one of the semi-annual Docent Training Classes held in August and February of each year. Call the Hawks Aloft office at 505-828-9455 to sign up for the next class. For more rescue stories, visit our blog!